One of the world’s leading online luxury store has now announced that they are adopting a fur free policy. This means that they will eliminate all and every garments, accessories, and items made from animal fur. 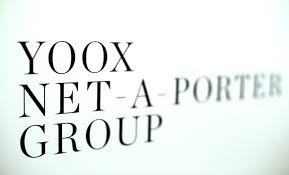 The policy will apply to all of their brands through out their online store, which consists of: Net-A-Porter, Mr. Porter, Yoox, and The Outnet. YNAP is demonstrating their commitment to overseeing an eco-friendly impact through sustainability. YNAP has even joined the international Fur Free Retailer Program adding onto their dedication towards ethical treatment to animals. This is an international alliance of animal and environmental protection organizations globally. The company’s Sustainability Report outlines the Group’s commitment to managing and reducing the social and environmental impacts of the business, collaborating with brands and suppliers to improve practices, and leading developments in the industry. By adopting this policy, it proves that YNAP believes in humane and ethical treatment to animals and they’re given rights. This may increase their vendors and brand loyalty due to the increase in sustainable products being used currently.